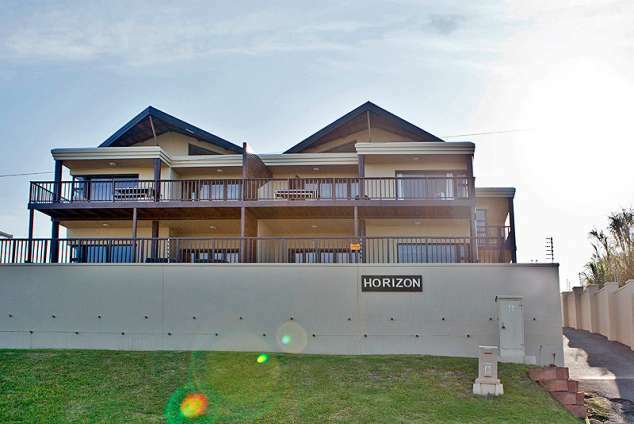 Horizon Unit 2 - La Mercy Accommodation. Looking for the perfect self catering getaway, escape to a 3 bedroom fully air-conditioned sanctuary with pool, away from the city overlooking the stunning La Mercy Beach which is just a short stroll away. Suitable for a family or for the executive (sleeps 6). Situated close to all amenities (12 km away from Gateway/Umhlanga ) and with King Shaka Airport being 13km away and being situated halfway between Durban and Ballito, this is the ideal business stop over. Other features includes DSTV, apartment is serviced (maid), and entertainment area not forgetting the seaviews from any room in the apartment. Excellent security with armed response and panic button. Maximum 2 car parking inside and guest not allowed to park on the outside. 22624 page views since 22 Apr, 2014.